On January 19, 2015 we visited the Kim Son Charity School with new clothes for Tet and food for the children’s daily meals. This trip was sponsored by JL Support Services. Kim Son provides free primary schooling for local youngsters of poor families who otherwise would not be able to afford the costs of going to public school. The children get free breakfast and lunch at the school, and all of their books, supplies, and school uniforms are provided through charitable donations. 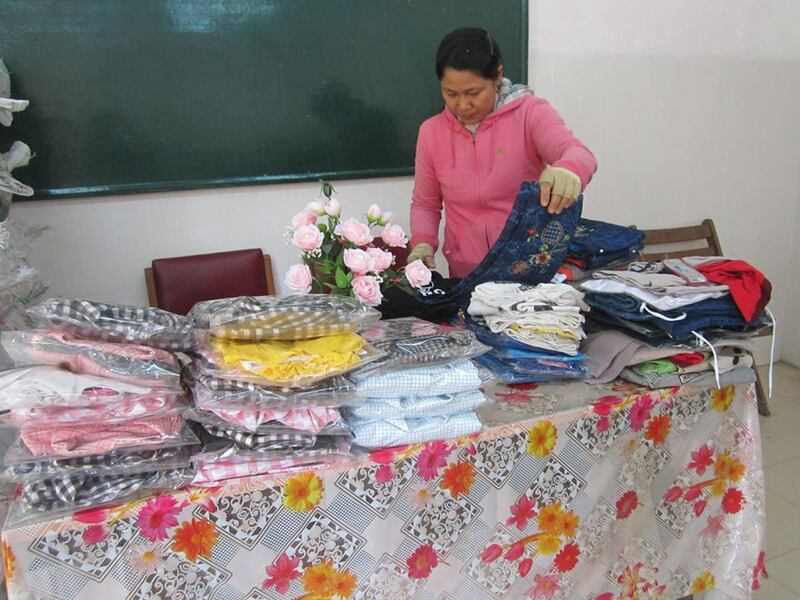 Kim Son also runs a free vocational school for young adults in the area who wish to enter the garment industry. 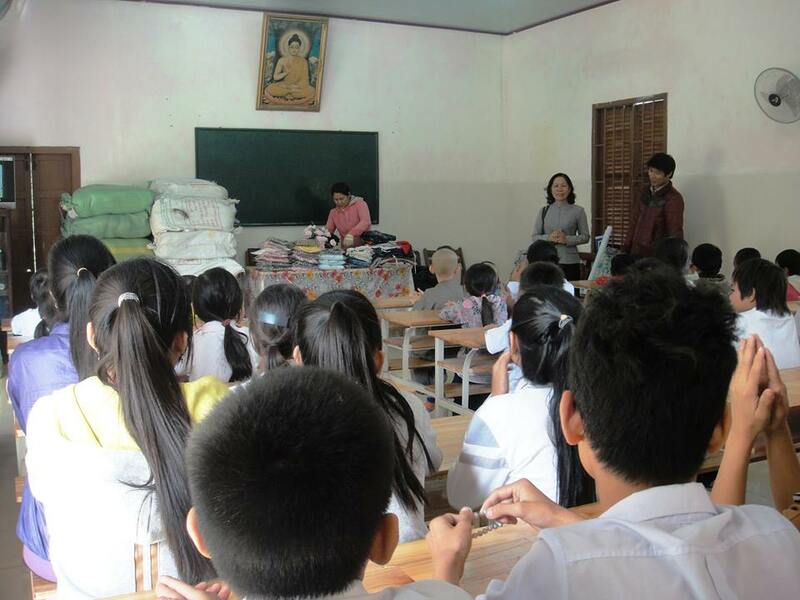 Our lead coordinator Hiep contacted the nuns at Kim Son, and loaded up a van with new clothes for both the primary school children and the vocational school students. Tet is the biggest holiday in Vietnam, and it is the custom to wear new clothes at the beginning of the new lunar year. 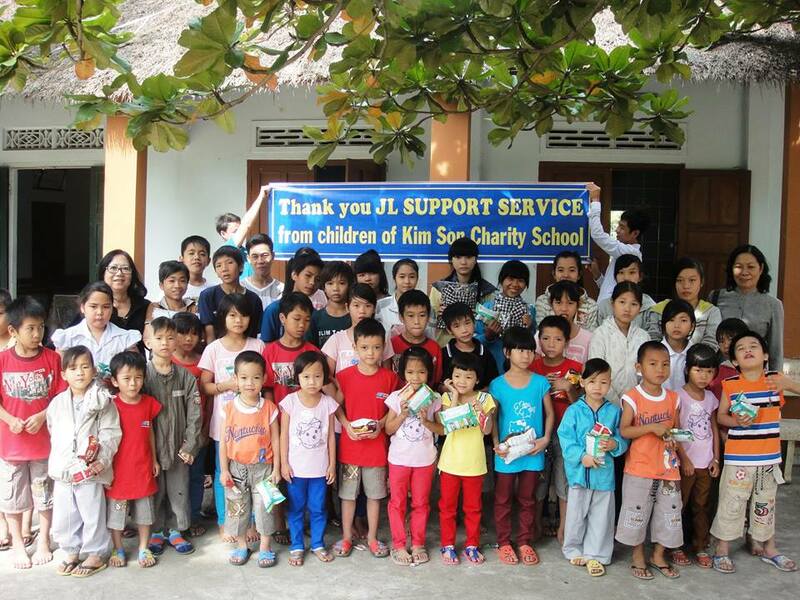 Through the generosity of JL Support Services, these children will have a new outfit for Tet. 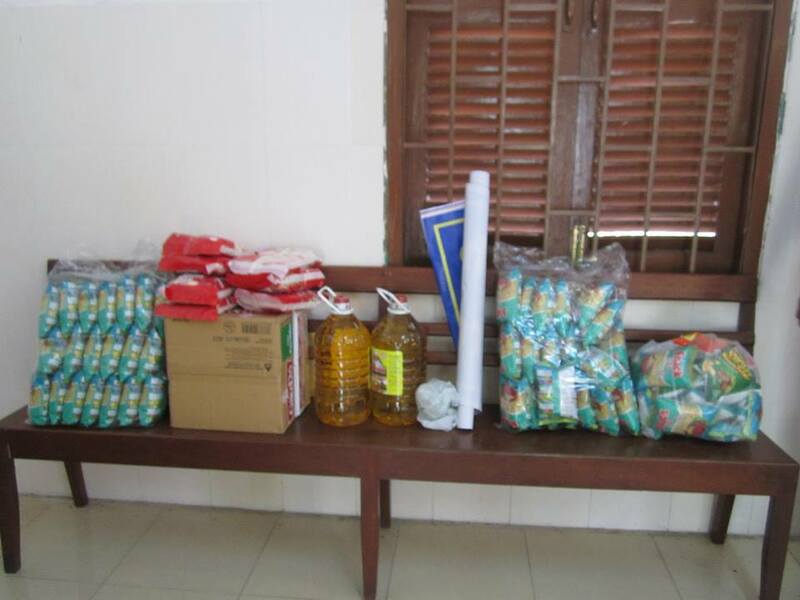 In addition to the food supplies, snacks and treats were also brought to make the occasion for festive.